We have had a long cold winter here in Melbourne, and with the Spring here, the days are getting longer, and the temperatures are getting warmer. 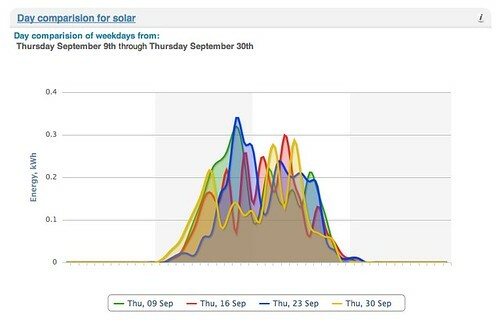 Interestingly, @SEGmeter is also recording the fact from the output of the solar panels on the rooftop, this graph is showing the last month of Thursdays. So here's cheers to Summer, coming on, less energy used, more energy generated.